This workshop teaches the fundamentals of programming and how following good practices results in solid code. Topics covered include variables, conditional statements, looping and iteration, and arrays. 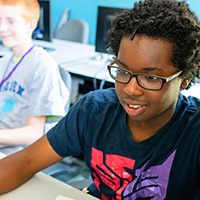 Students use their knowledge of these core concepts to create a series of simple computer games. This challenging course, based on DigiPen college curriculum, introduces you to C programming and helps you understand the role of computation in solving problems. You will learn the fundamentals of programming, including conditions, loops, input/output mechanics, and basic data types such as arrays and structures. 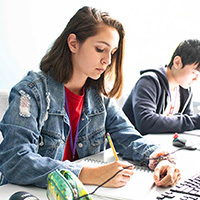 You will also learn software development techniques and best practices that will provide you with a solid foundation in computer science. 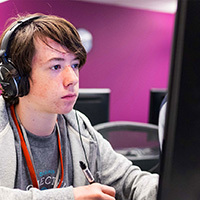 This course assumes no prior programming experience, but is intended for those students who are seriously considering a career in computer science.